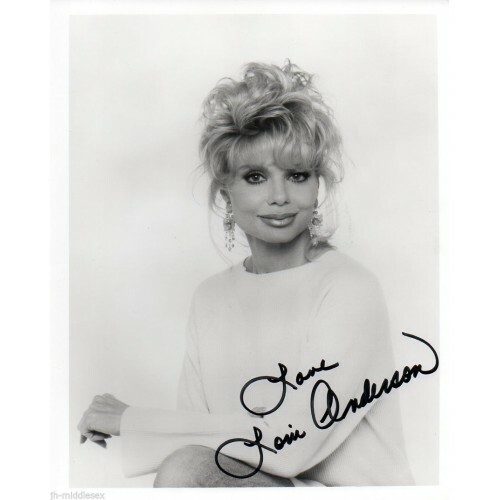 Loni Kaye Anderson (born August 5, 1945) is an American actress who is known for her four-year run as Jennifer Marlowe on WKRP in Cincinnati (1978–82), for playing Jayne Mansfield and Thelma Todd in television movies, and for playing Pamela Anderson's mother in one episode of V.I.P. (TV series). Loni Anderson Autograph - Signed 10x8 Photo - Handsigned and GenuineLoni Kaye Anderson (born August 5, 1945) is an American actress who is known fo..